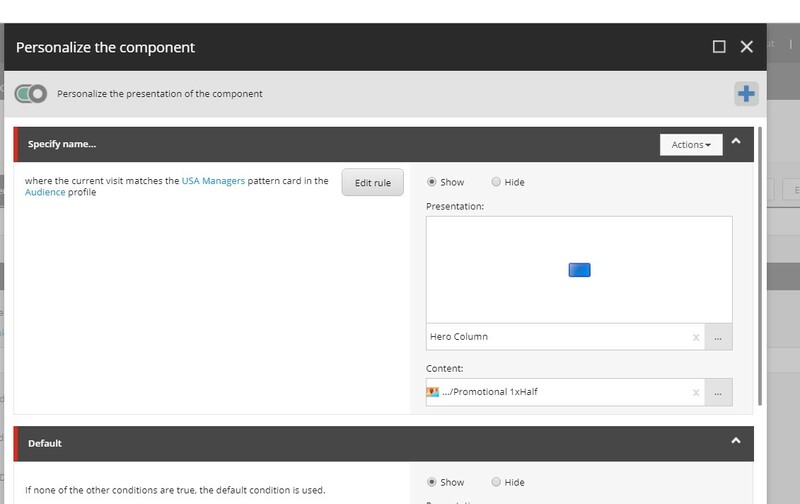 The Sitecore’s profiles, rules and pattern cards are very powerful personalization mechanism. On my current project, I had a requirement to integrate OOB personalization and a third party service that is responsible for a user personalization metrics. The customer wants to display diff content for USA managers, USA employees and employees from Europe. The Last step - now when somebody visits the page, we need to get the metrics from the third party API and apply it to the Visit(we don’t care about previous visits) and Sitecore then can find the appropriate Pattern Card itself. That is it, now Users will see only appropriate content!